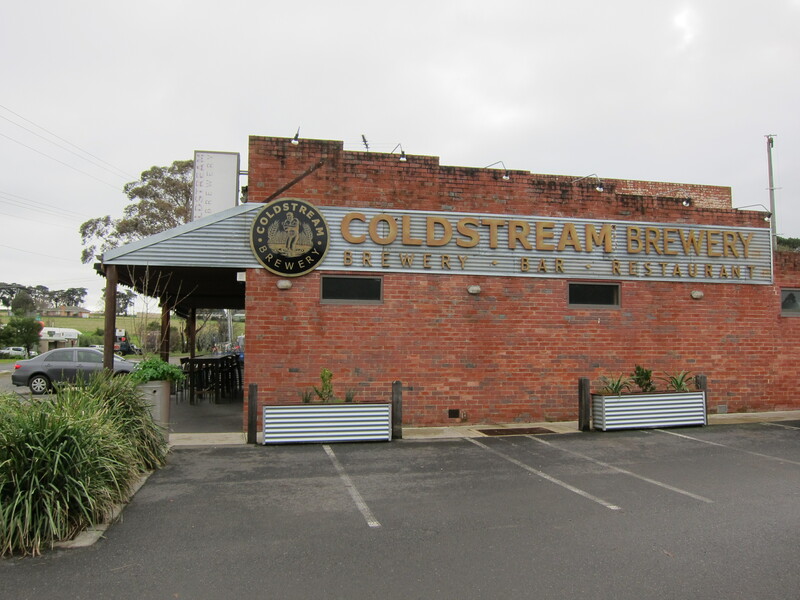 As you leave the city behind and follow Maroondah Highway to Yarra Glen, you will come to that point in the road where suburbia gives way to county; it is right at this elusive boundary that you will come across the Coldstream Brewery. 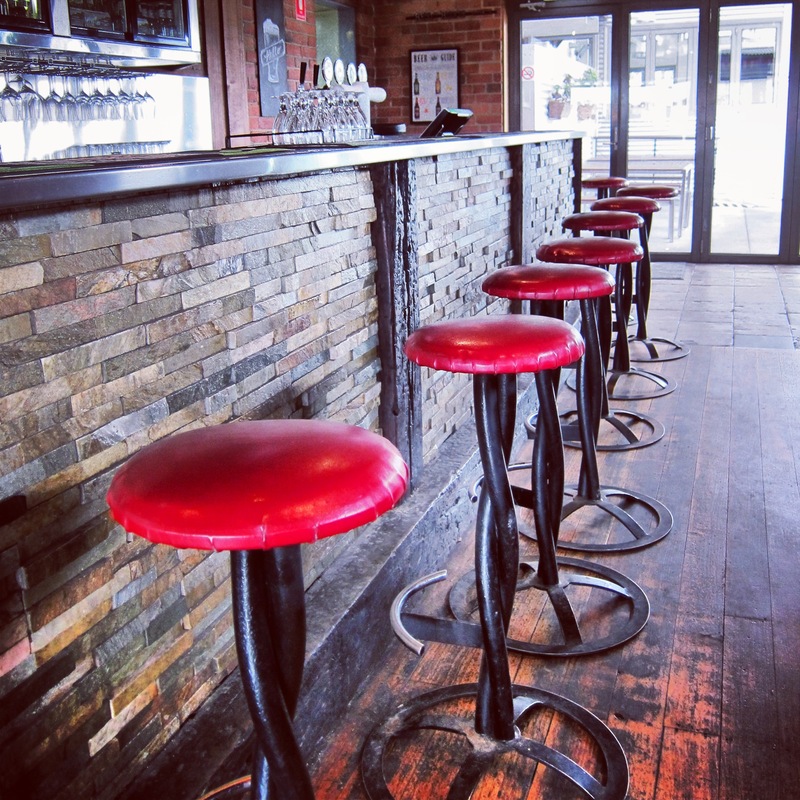 It is an unassuming building with a deliberate country pub façade and cosy, warm interior. Walking in the front door you will be greeted by the friendly staff behind the traditional style bar. As you glance around the room it is obvious that this is a ‘local’ to many and a drop in for some. 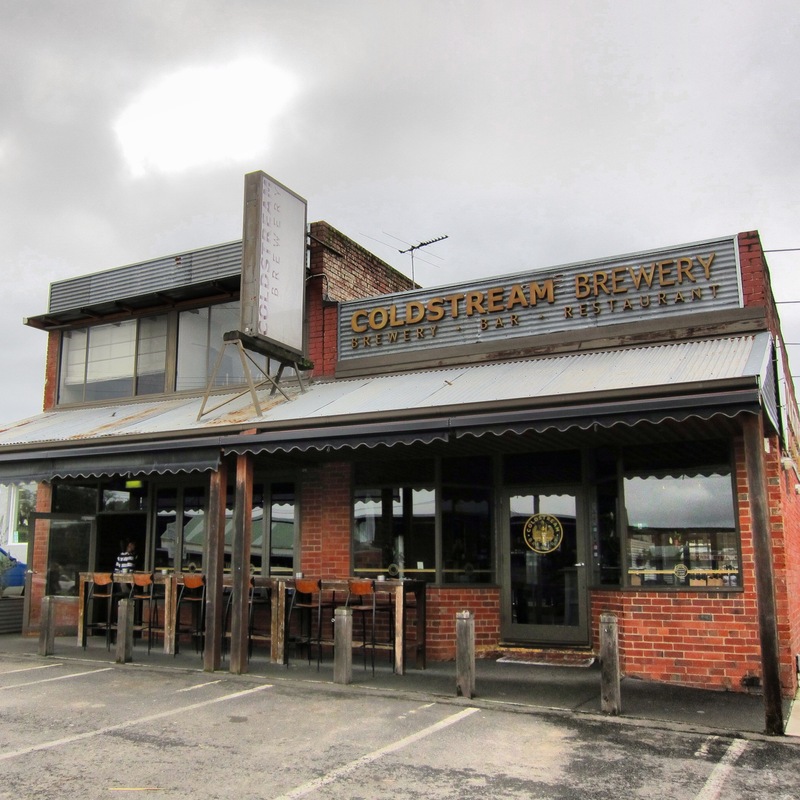 Parking my pram at the end of the table, bubs and I were set to experience all the Coldstream Brewery had to offer. Arriving right on 11.00am was probably a little on the hasty side, as the kitchen is closed until 12.00. So if it is coffee and a chat you want, then by all means be there when the doors open – you may even learn a thing or two about brewing beer, as I did this morning. After a much needed coffee, ground from local beans, we were presented with the menu. My husband will be happy to know that I have found his next chicken parmigiana, as this is a very predictable and entirely appropriate menu. 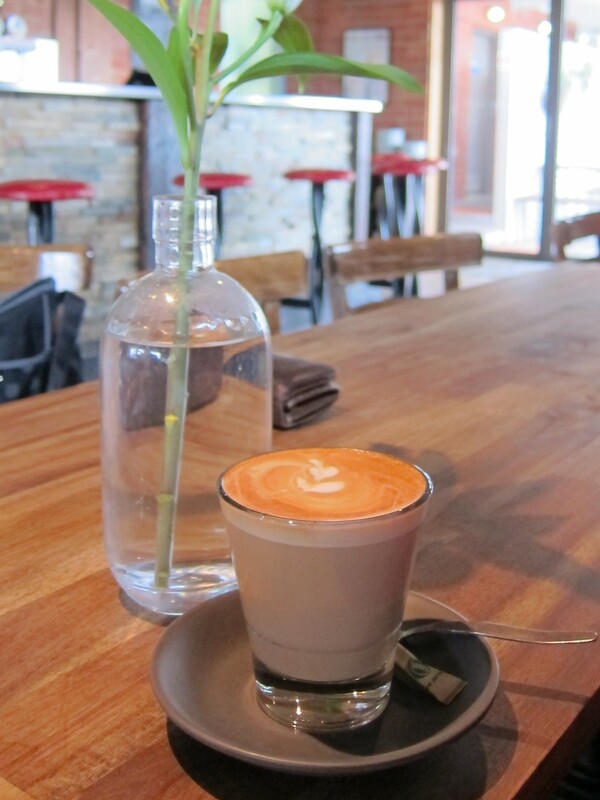 With a philosophy of ‘local is best’ each dish is supporting local Australian farmers. 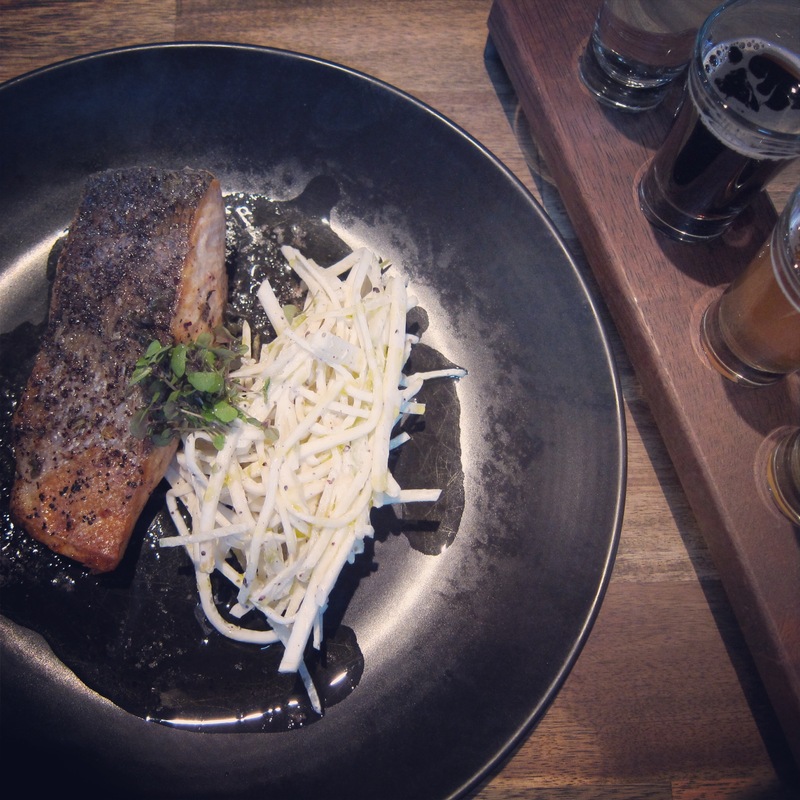 The Salmon with apple and celeriac slaw took my fancy and a paddle of beers to taste. 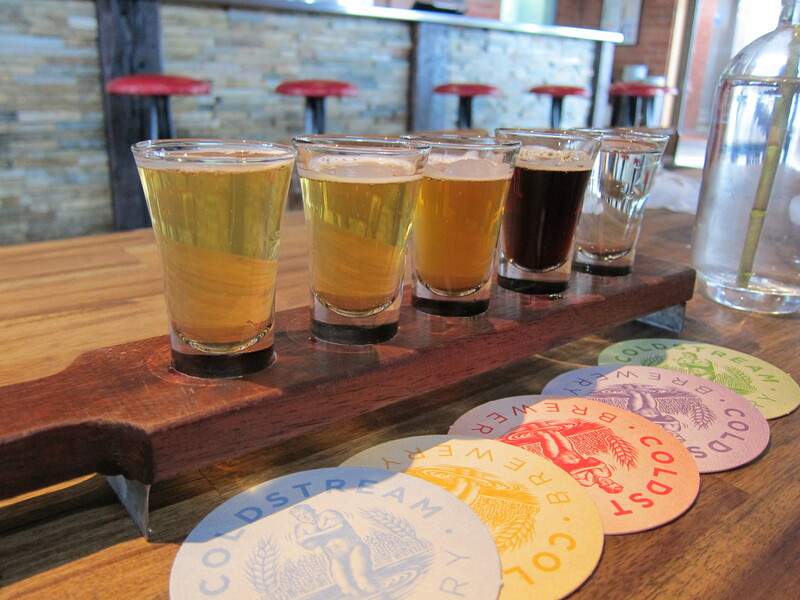 The tasting paddle is a great way of trying all their beers and deciding which is right for you. They were all excellent and cover a wide range of preferences when it comes to the beer palate. I have always loved imported beers, with Leffe, Hoegaarden and Stella Artois topping the list. For me the Czech Pilsner embodies all the flavours I love from these European brews. 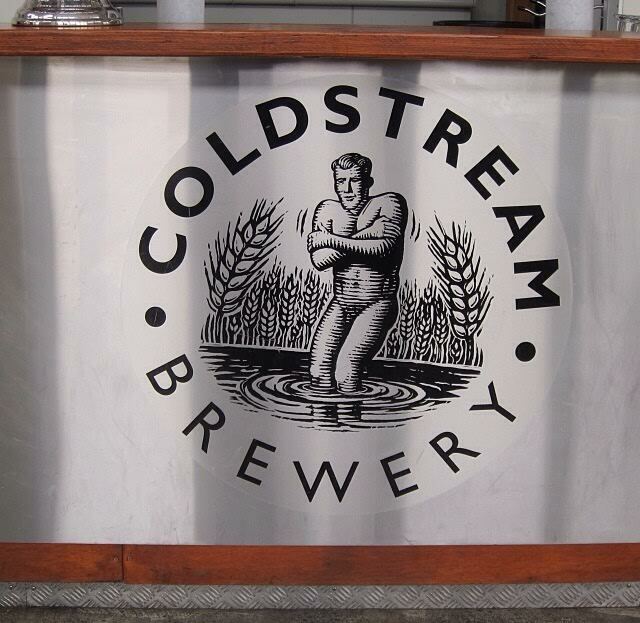 It is obvious that the Coldstream Brewery prides themselves on their beers and go to great lengths to find the right hops for each variety. 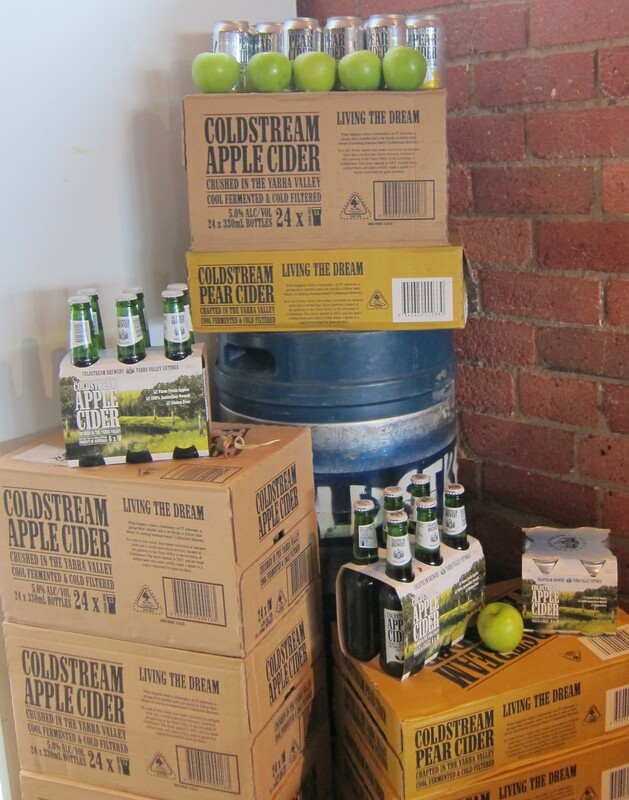 I am so happy to report that all Victorian grown apples and pears are used in the Coldstream ciders – and let me tell you, I will be back to purchase the apple cider for a ‘girls dinner’ I have planned in the near future. 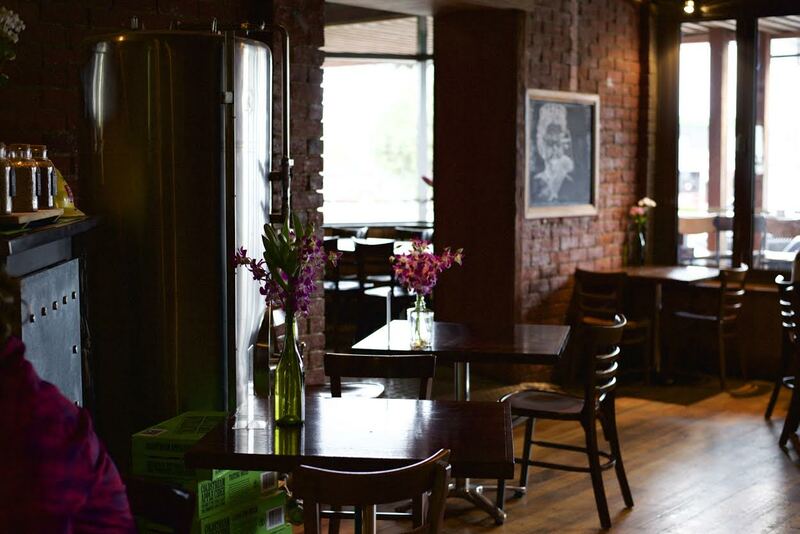 This is the pub with the lot, a modern gem that serves everything from self-brewed beer to locally sourced wine and coffee. Once you walk in the door you will forget about the main Highway you have just left, the city off in the distance or the stress of the day just been. Sit back, relax and enjoy the serenity.